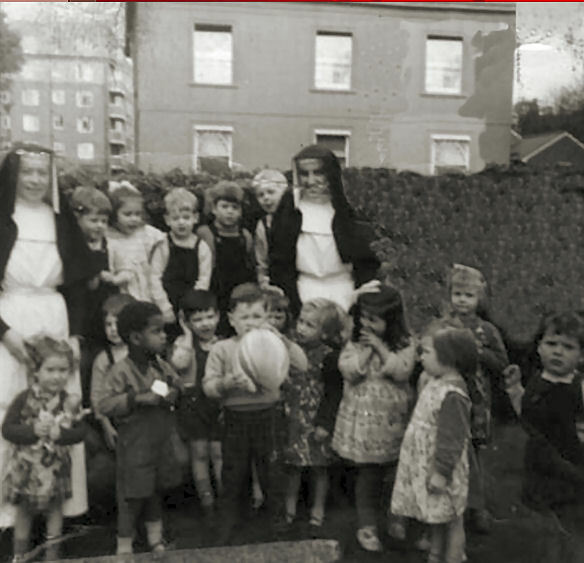 I was at St Anne’s Childrens’ Home in the early 1960s and have happy memories of my time there. I have read the many comments posted by others who had been at St Anne’s and wanted to share these photographs with them. Hope to hear from anyone who remembers this time. Maybe you can recognise yourself or anyone else? If you recognise anyone or can share your memories of this time, please leave a comment below. I would be interested in more information on St Anne’s Childrens’ Home from the WWII period, if anyone has such info? At this time it was in Buckingham Place, opposite Compton Avenue, and suffered during a bombing raid, such that it closed down and moved soon afterwards. Where exactly did the bomb land? The 1946 Brighton Bombing Map indicates that the bomb fell on the West Hill pub (previously the Belle View) at the junction of Buckingham/Howard Place. But the pub shows little signs of a rebuild? Other accounts suggest that the bomb fell in Compton Avenue. Does anyone have any info? That’s good that you have kept these nice photos of your days at St Anne’s, Noel. Thanks for sharing them. Quite a few people who have made comments in these pages were there at around that time so I hope you get some responses. 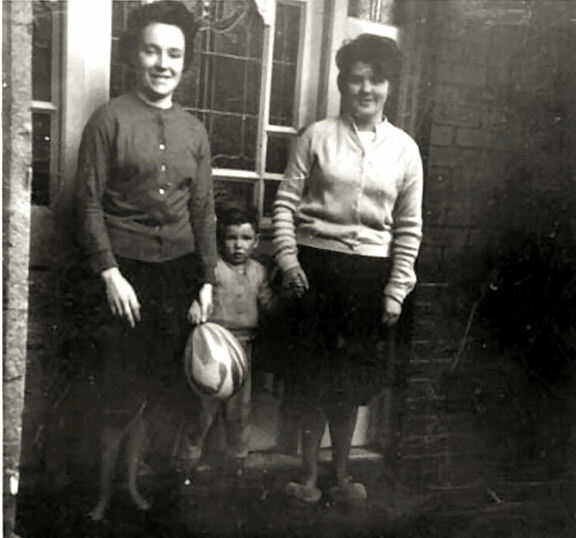 The little boy holding the ball, it looks like me – Josephine Benyovits – hiding behind him, and my sister Michelle, with dark hair in a fringe, in the middle. Can anyone give a year, please? The pic of this little boy was taken at the front door of Woodside. I used to love the coloured glass panels inside. When the sun came through our hallway it looked like raindows. We had a little hamster called Minka, someone fed it a toffee… I buried her outside Clarmont under the Virgin Mary shrine and collected daisies to lay. Does anyone else remember our front room where we all sat to watch the black and white telly? I was here with my brother and sisters Anthony, Anglea, Rosina, Tina and me Karen. Angela was rushed to hospital and went into a coma lucky she made a recovery while here, my brother and I were used as extras for the film Oh What a Lovely War while we were in the home. Does anyone else remember this? You will find more in another thread on St Anne’s Children’s Home further down the page where you found this item. Check out the message from Veronica Tumber (08/02/2012) for reference to the film you were in. My younger sister Maggie and myself were at St Ann’s 1963 onwards. Not sure how long we were there. I was at St Anne’s from 1966-1970 and loved every minute of it; lots of happy times. I remember Rosina and was also in the film Oh! What a lovely war. I was there in the early ’60s from my recollection with two of my younger siblings. I was at Cottesmore Senior School from 1957 to 1962. I remember that there were children in the school who came from St Ann’s. I did not have anyone that I remember in my year but this may jog a few memories. This is my maiden name in case anyone remembers me. 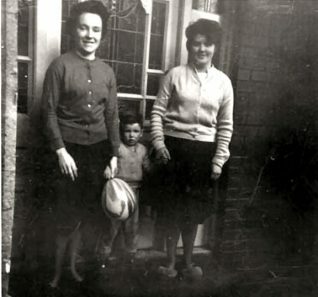 I write on behalf of Lina Dennison who was born in 1935 and lived in the community at St Anne’s in Buckingham Place from an early age. She was there at the time of the bombing and has detailed recollections of the event which she would be happy to share with Peter Groves. Lina remained in the convent community until starting work. She would love to be in touch with anyone who remembers her. Though alert and lively, with a memory that puts mine to shame, she is not a user of computers and has asked me to help her. How lovely to hear of Lina. I remember her very well and named my second daughter Lena because I thought of her when choosing. I wanted to name her after someone from St Anne’s I knew when growing up. The photo I have which was taken in the day-room with Mr Cocheeni has Lina in it and have shown to my daughter. I am so pleased she has reached a good age and wish her all the best. Would love to hear further. Lina was delighted to hear from you, Jean, and would like to get in touch personally. She visits Brighton frequently and, if you are still in the area, would love to meet up. For understandable reasons, she does not wish to share her contact details on an open site (and I’m sure you’d feel the same) and I’m hoping that the website editors may have thoughts about a safe way of facilitating contact between you. Sorry but we have too many requests like this. We are all volunteers and do not have enough time.